My husband, friends and grandchildren will tell you that I have lots of fun these days with my new "friend" Alexa. Grandkids get to hear corny jokes, friends get to listen to a new favorite music artist and my husband gets the local weather report. I'm always demonstrating some new way to use this handy hands free voice activated device that benefits those with or without vision loss. 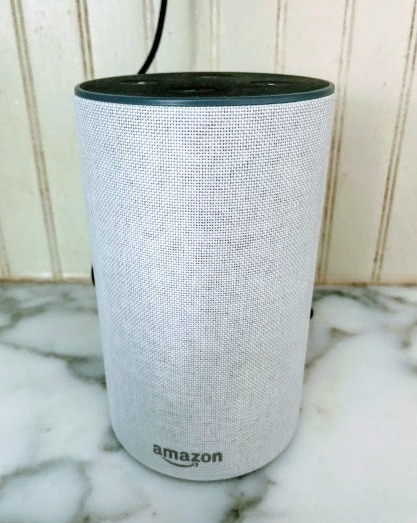 The cylindrical round tower, called the Amazon Echo, sits on my kitchen counter, always ready to help. She will set a timer, give me a news update or play the latest Ted Talks. Ask her for a joke, how many cups are in a quart, or to add eggs to your shopping list. Check out how Alexa can simplify your life in practical and fun ways.